If you follow me on Instagram then you would have seen i received this amazing slogan tee in the post the other day! I was lucky enough to be in contact with a company called Rock On Ruby. They sell gorgeous slogan tees and you can design your own with your own slogan. So they asked if i wanted to design my own slogan top with their 'Magical' theme in mind. 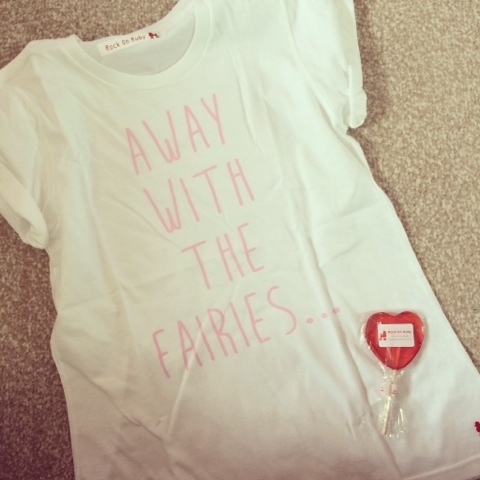 So i came up with this 'Away With The Fairies' top. Not gonna lie most of the time i'm away on holiday with these bloody fairies! I can be a true blonde at times and always in my own world so thought this was perfect. They chose the colour writing and the font and think they done a really good job as the baby pink writing is a perfect match. 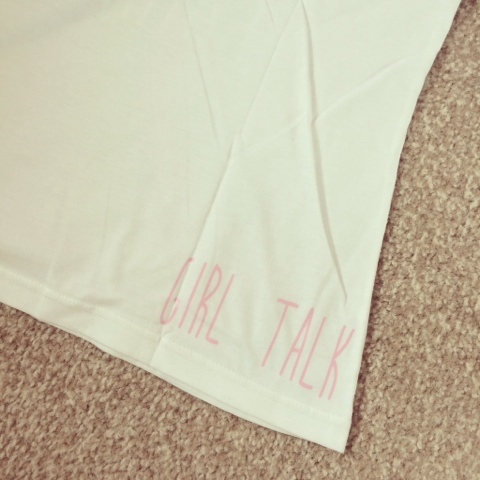 The best bit about this top is that it has my blog name on the back!! The quality is really good as you can get those cheap feeling slogan tee's but this isn't like that. I also made it a loose fit as this is my typical style so i can team it with ripped jeans, converse and a leather jacket. Make sure to check out their collection guys. What do you think of the slogan i picked? This is adorable, it's so cute how you can choose your own slogan!